Hoffer Flow Controls turbine flowmeters play a key role in many of the bag-in-a-box production plants throughout the beverage industry. Our Sanitary Series, sanitary turbine flowmeters, along with a batch controller are used to batch a specific amount of the beverage product into a container. The typical filling process incorporates a conveyer system and a filling station. The Hoffer turbine flowmeter has been used to batch numerous beverages including concentrated Coca-Cola syrup. In this application, two flowmeters are used for batching one part concentrated syrup to five parts water. One of our satisfied customers includes a Coca-Cola bag-in-a-box beverage production facility located in the Pacific Northwest. They use Hoffer meters for batching water and various syrup products. They produce 10,000-12,000 packages per day or 12.5 million gallons per year. Their production is distributed to wholesaler operations and the Coca-Cola fountain sales group throughout Washington state, Idaho, Montana, North Dakota, South Dakota, Wyoming, Northern California and parts of Canada. They have used the Hoffer Sanitary meters for several years. The Hoffer meter replaced another turbine flowmeter that they were experiencing problems with. 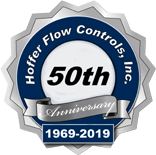 The primary issues that drove this location to select Hoffer include the rapid dynamic response of the flowmeter and the ability to withstand the CIP cycles. Previous meters employed were not as responsive and exhibited pickup coil failures from the thermal cycling that the meter is exposed to during the CIP cycle. Hoffer is pleased to provide accurate flow measurement systems to help meet the criteria of another challenging application. 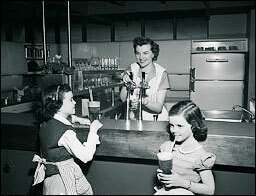 If your travel plans include a trip to the Pacific Northwest, you may want to enjoy a beverage product from Coca-Cola. You can rest assured that the bottling plant has employed accurate and sanitary flowmeters to provide you with an outstanding beverage product.